Between September 28th and October 1st the Bucharest audience is invited to discover the art of the future. Over 60 artists from 8 countries will be present on the stages set up in Elvira Popescu Cinema, The Ark, ARCUB Gabroveni, the National University of Music Bucharest and te George Enescu National Museum for 4 evenings of new and unusual performances. United by the concept of this festival, TOUCH, the events of the 4th edition of the INNERSOUND NEW ARTS FESTIVAL offer the culture aficionados the opportunity to rediscover the power of art to generate innovation in any domain and to bring them one step closer to the future. The theme of the festival challenges the audience to reflect upon touch: as a frontier between technology and senses, as a meeting point for artist and spectator, as a first real step from feeling to matter, in a seductive mix of action and reverie. The first day of the festival, taking place on September 28th, at The Ark, at 19:30, brings on stage the members of the Ad Libitum String Quartet : Alexandru Tomescu – Ist violin, Şerban Mereuţă- IInd violin, Bogdan Bişoc – viola and Filip Papa- cello. The Quarter is a rare presence at the Bucharest music venues, and this occasion will be all the more special, with all 4 musicians interpreting the winning composition from the InnerSound competition, the piece written by young musician Sebastian Androne, entitled Glances of Memories. The concert takes place in Ground Floor, surrounded by the TOUCH photo-video exhibition. As of 21:00, you are invited in the Lower Floor/Underground, to the vernissage of the multimedia sound installation, with the participation of artists Svetlana Maras (Serbia), Matei Bejenaru, Livia Mateias, Marius Jurca, Minim (Diana Dulgheru), Syntax (Laurian Bardos), Gabriel Kelemenn and Ioana Vreme. The curator of the exhibition is Ciprian Ciuclea. The second day of the festival, happening on September 29th, taking place at the Elvira Popescu Cinema venue, as of 18:30, is dedicated to the Silent Film Night, an event unique in Romania: 10 short contemporary silent, narrative, experimental and animation films, entered into competition for the InnerSound trophy, which shall be accompanied by a soundtrack composed in August by 10 young composers, in the interpretation of the SonoMania Ensemble, conducted by Alexandru Mija. InnerSound is the only festival in Romania which dedicates an entire evening to the contemporary silent film, accompanied by live chamber music. The special guest of the event is David OReilly, an Irish artist living in Los Angeles, known for his internationally awarded animations, video games and digital art. David OReilly is also the artist signing the special effects for the film ‘Her’, directed by Spike Jonze, starring Joaquin Phoenix. Outside of the competition, InnerSound will introduce to you a David OReilly animation called Black Lake, accompanied by an original score written by composer Sabina Ulubeanu. The second day of the festival, entitled TOUCH THE KEYS, starting at 19:00 at ARCUB, invites you to three piano recitals with resonances which have known a fascinating evolution, from the XXth century music and a prepared piano, to the improvisations accompanied by live electronics. Mihai Măniceanu, Gabi Sultana (Malta) and Cătălin Creţu will prove to us the versatility of the keyboard instrument in the XXIst century. The festival shall close its doors on Saturday, October 1st with an electro-contemporary night at the Ark. As of 19.30, accordion player Ghenadie Rotari, the Dutch ensemble Project 128 and DJ Lukatoyboy will combine contemporary classical music with electronic beats, techno-acoustic and experimental DJ. During the same evening, the jury, composed by Andrei Ujică, Claudiu Mitcu , Cătălin Cristuțiu – film and Cosmin Bumbuț, Nicu Ilfoveanu, Șerban Mestcăneanu – photo-video, will reveal the winner of the InnerSound trophy for silent short film and of the Teodora Maftei award for the best photo-video project. In parallel with the musical events, the Festival will run workshops for children and young people, held by artists present in the festival, as well as presentations of certain contemporary art projects. Tickets are available on www.bilete.ro, at the offices of the Romanian Post marked Bilete.ro, at the pay-desk of the National Children’s Palace Bucharest and pay-desk of the Metro Station Unirii 1, Bucharest. About INNERSOUND NEW ARTS FESTIVAL: organised by the Art&Co Association and OPUS Association, INNERSOUND NEW ARTS FESTIVAL is the only independent event in Romania focused on a new perspective on the contemporary cult music, in relation with visual arts, film and multimedia. The festival functions as a powerful platform to promote young composer, instrumentalists, photographers, visual/multimedia artists and film directors. Running since 2012, INNERSOUND is founded by three composers who have included visual arts and performance into their work: Sabina Ulubeanu, artistic director, who is also a photographer, Diana Rotaru, who is dedicated to artistic syncretism and Cătălin Crețu, artistic consultant, who is a artist multimedia. InnerSound New Arts Festival in an event financed by the AFCN – Administration of the National Cultural Fund and endorsed by Raiffeisen Bank. 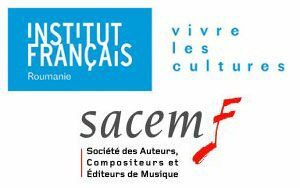 Parteners: Romanian Cultural Institute, George Enescu National Museum, Goethe Institute, Aspen Institute, AQUA Carpatica, Domeniile Sâmbureşti, The Ark, ARCUB, Cinema Elvira Popescu, UNMB, Gallery White Night, CIMRO, artouching, Noumax, Wearebasca, EPSON, Undersound, Kodex, Alldeco, Rue du Pain, VRTW. 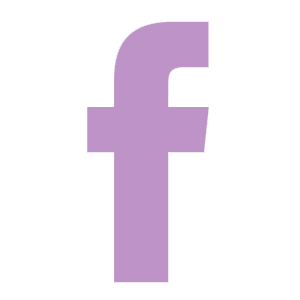 Media Parteners: RFI, LiterNet, Radio România Cultural, DoR, VICE, Institute, The Magazine, Business Review, Accente, AnaMariaOnisei.ro. 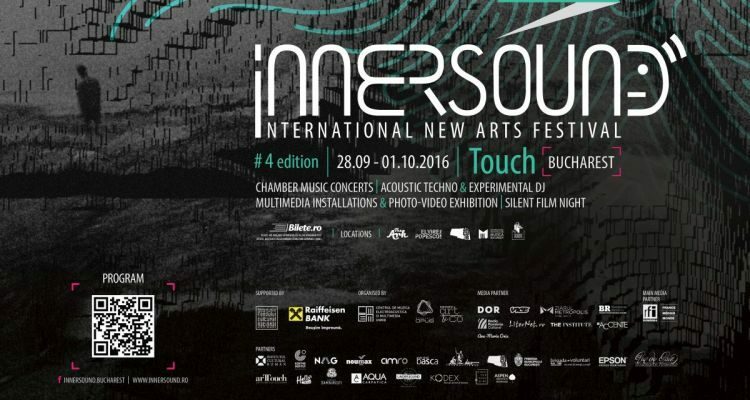 Further details on InnerSound New Arts Festival, as well as the complete schedule of events for the fourth edition can be found on the official website www.innersound.ro and on Facebook, at: https://www.facebook.com/InnerSound.Bucharest. This project does not necessarily present the position of the Administration of the National Cultural Fund. 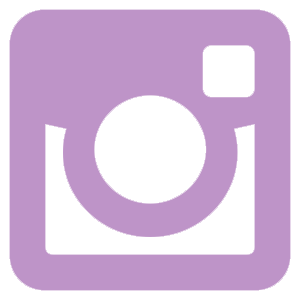 AFCN is not liable for the content of the project or for the means in which the project results can be used. These fall entirely under the responsibility of the beneficiary of the funding.